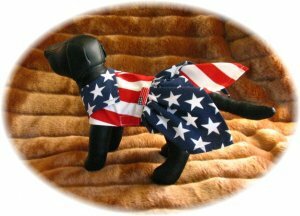 This American Flag Theme Dog Dress is made from a hankie and designed for the small dog in your family. This is made from a red, white and blue American flag material. The skirt has three points with stripes and stars. 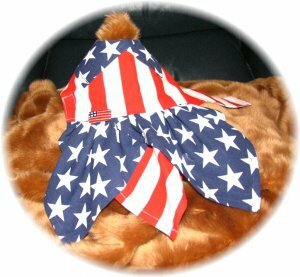 The American Flag Theme Dog Dress has a collar with white stars on a blue background. There is a velcro closure at neck and chest area. 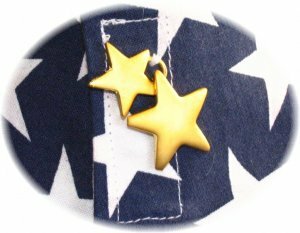 The dog dress is embellished with gold stars at the neck and a ceramic flag pin at the waist.